Take Exit 247-A to merge onto US-33 East/East Market Street toward Elkton and proceed for approximately 1.5 miles. Turn right onto Evelyn Byrd Avenue and proceed approximately 0.5 mile. 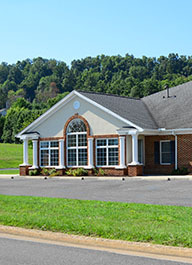 Harrisonburg Foot & Ankle Clinic will be on the left. Our address is 2105 Evelyn Byrd Avenue. Please download our medical forms, and complete them prior to your appointment. An answering service is available for after-hour emergency situations.